It used to be easy – shoot a great TV spot, design some beautiful print ads, and win some awards. Well, not easy, but we all knew the drill. Now, we create content programs. Big, idea-rich platforms that can support and set in motion a host of moving pieces like videos, social media, promotions, branded characters, TV network tie-ins, and even advertising (to name a few). Each one a powerful and specialized medium on its own – even more powerful, when orchestrated to work together. This? Not so easy. To help articulate, we have developed a method for mapping out integrated programs – beat-by-beat, media channel-overlapping-media channel. Below are several examples, each one designed specifically for a particular type of program – such as: multi-platform content, episodic character series, and consumer engagement path. We have found the process extremely useful for helping everyone involved understand how the individual elements work together, and to uncover potential untapped areas to explore. 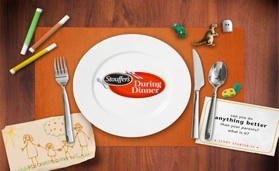 A programming plan for Stouffer’s Lasagna, outlining three major content programs and activation for each. The timeline lays out the plan for one year (click on chart to view larger). Maps out the story arc of a brand character (spokesperson). 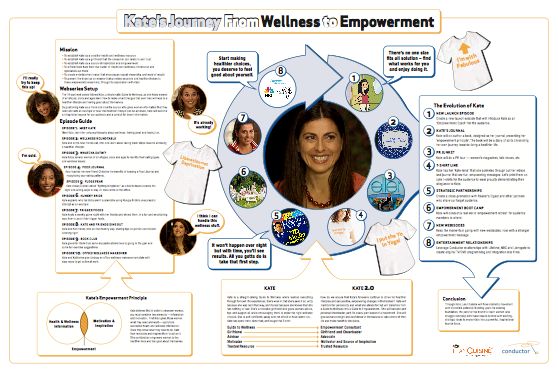 This was developed for ‘Kate, The Wellness Coach,’ a character created for Lean Cuisine’s ‘Wellness Play.’ The map includes storylines for a web series, content distribution plays, and some spinoff content from Kate – like books and exercise clothing (click on chart to view larger). Unfortunately, this never made it past the pitch, but a wonderful idea and well-planned (click on chart to view larger). 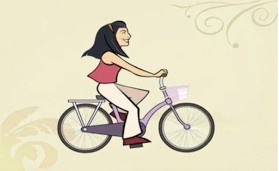 Exploratory for Safeway in-store video program. 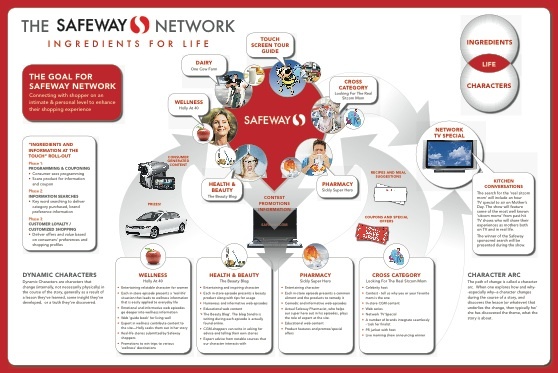 The mandatory was to drive traffic to Safeway.com through category-targeted video content that plays in stores (click on chart to view larger).